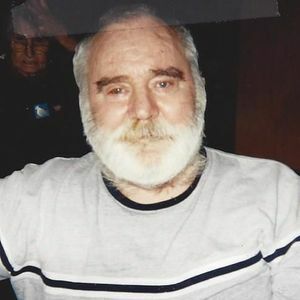 GREENVILLE – Jerry Leon Baize, 72, of Greenville, died Friday, October 25, 2013 at Maple Manor Nursing Home in Greenville. He was born January 15, 1941 in Ohio County was a saw mill worker and a member of the Trinity Pentecostal Church. He is preceded in death by a son, Gary Dale Baize, his parents, Justice and Ruthie Baize, brothers, Carol Baize and Marvin Baize and a sister, Evelyn Boatman. Survivors include four sons, Greg (Linda) Baize and Stephen Baize both of Greenville, Scotty Baize of Central City and Toby (Kristy) Baize of Bremen, grandchildren, Brandon (Kala) Baize, Chelesy (Kyle ) Brooks, Terrance Benson, Kim (Jamis) Shrewsberry, Chrissy (Jason) McPherson, Jacob Baize, Ben Baize, Charles Baize,and Susie Baize, Trenton Scott Baize, great grandchildren, Dagon Benson, Alyssa Benson, J. Shawn Shrewsberry, Miraha Shrewsberry, Destiny Shrewsberry, Briley Baize and Ellie Brooks, brothers, Delmer Baize of Flordia, Eugene Baize of Owensboro, and David Baize of Roxie MS., sister, Lynn Willoughby of Madisonville. 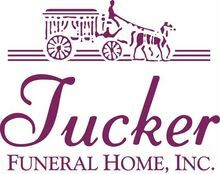 Funeral services will be held at 2:00 PM, Monday, October 28, 2013 at Tucker Funeral Home in Central City conducted by Rev. E. W. Greenwalt with burial to follow in the Rose Hill Cemetery in Central City. Visitation will be Sunday from to 5:00 to 8:00 PM and Monday after 8:00 AM at the funeral home.